The present case has been reported in the Journal of Surgical Case Reports. A 28-year-old and 14 weeks pregnant patient presented to general surgery polyclinic with severe pain on her back and right flank. Physical examination revealed tenderness on right lower quadrant of the abdomen, right groin area and right thigh. 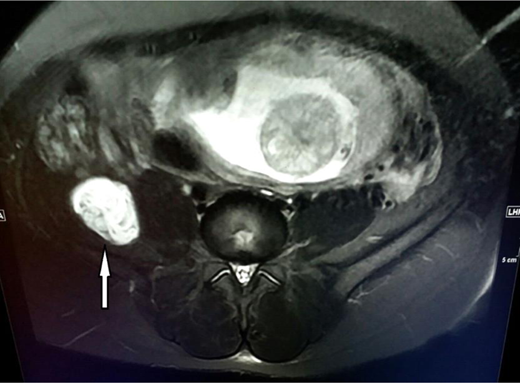 An ultrasonographic evaluation revealed a lesion showing hypoechoic 46 × 39 mm mass with heterogeneous wall structure on the iliacus muscle at the level of anterosuperior region of the right crista ilica. In MRI, this lesion was diagnosed as Hydatid cyst (HC). Because of the persistent pain of the patient, she was suggested to have surgery. 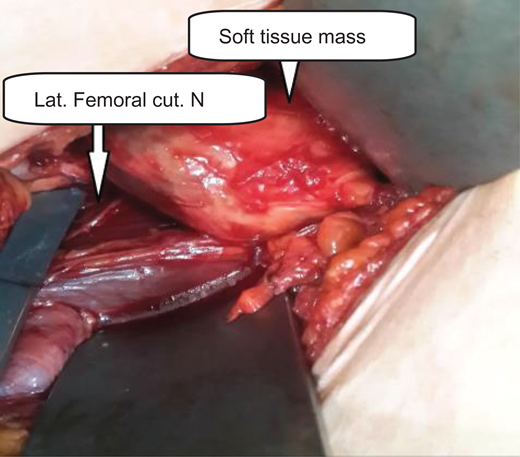 The patient, lying in the left lateral decubitus position, incised on the mc Burney point and the preperitoneal area was reached. This area was dissected towards posterolaterally and retroperitoneum was reached. The cyst was dissected from the adjacent tissues and the iliacus muscle. Posteriorly, the cystic mass was densely adhered to nervus cuteness femoris lateralis. It was separated from the nerve by sharp dissections and sent to a histopathological examination. 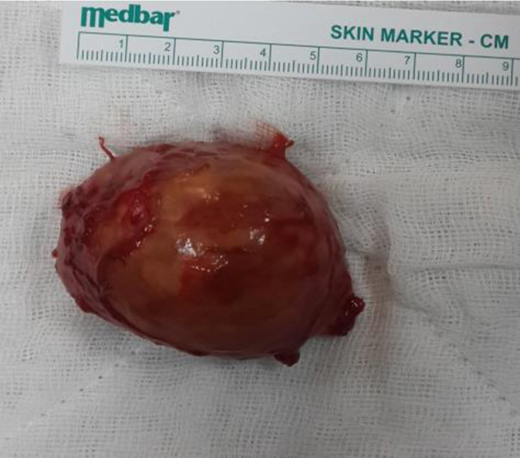 Histopathologically, it was confirmed that the mass was hydatic cyst. Albendazole treatment was not given to the patient who had not any complaints in postoperative follow-ups. She gave birth at 41th week and there was no recurrence in her 4 years follow-up. - Isolated HC in soft tissue during pregnancy is very rare. - Surgical treatment can be safely performed in symptomatic cases.